AED Performance was founded with one basic premise in mind; manufacturing of high quality components at reasonable prices. We will honestly endeavor to offer the best product, service, and technical support possible. Our background includes over 3 decades of research, design and development of high performance components. We have one of the most high tech research facilities in the country including our computer controlled WET FLOW BENCH which is capable of flowing any throttle bore seperatly or combination of throttle bores to provide CFM, air-fuel ratio, test pressure, pounds of fuel and air, and corrected data as related to RPM range. We have in-house CNC machining centers, flowbenches, total induction benches, engine dyno, and chassis dyno. We manufacture the finest line of Performance and Competition CNC MACHINED carburetors on the market today. We also carry an extensive fuel system parts line up that is second to none along with support and service capabilities to match. 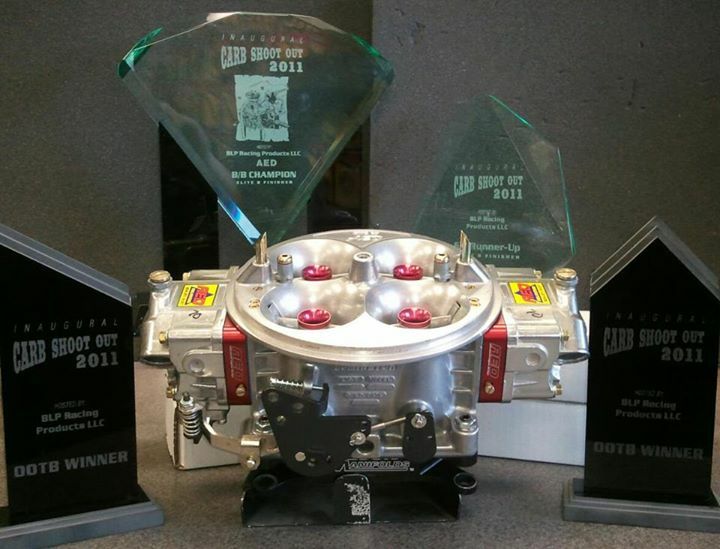 AED Competition has won more Carb Shootout events than all the others combined. With our attention to every detail you can be assured that your new custom carburetor will follow the AED tradition of the fastest accelerating carbs on the planet.